For the next few weeks we're thrilled to have Stijn Vergaelen, Arte's International Sales Manager, in Australia and New Zealand. 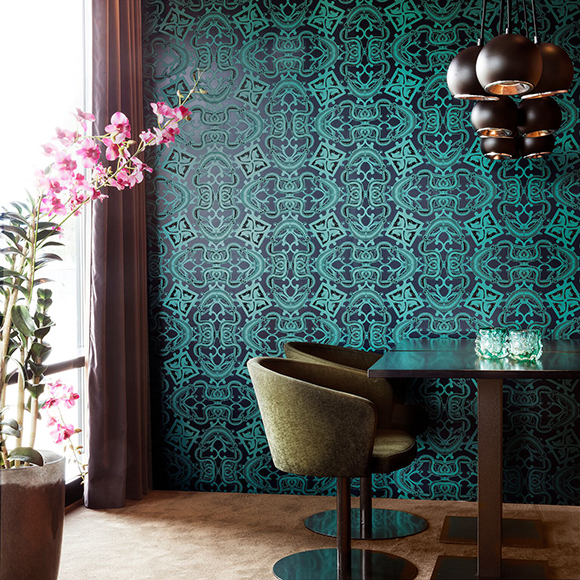 He will be presenting a huge EIGHT new collections by Arte and Hooked On Walls. Invitations will either already be in your inbox or going to your inbox as you read this. Please get your RSVP's in as soon as possible, places are very limited and filling fast. Lets start with the latter - the extraordinary Flavor Paper: It's bold, cheeky, glamorous, dramatic... Do check out the collection page HERE to see more. Arte worked in collaboration with Kravitz Design in New York (yes that Kravitz) to create Flavor Paper. Most of the designs are large scale with plenty of foil, vibrant colours and irreverent motifs, eg surveillance cameras, box cutters and bananas. It's so much fun! Just as glamorous but definitely more pared-back is Metal X Signum. 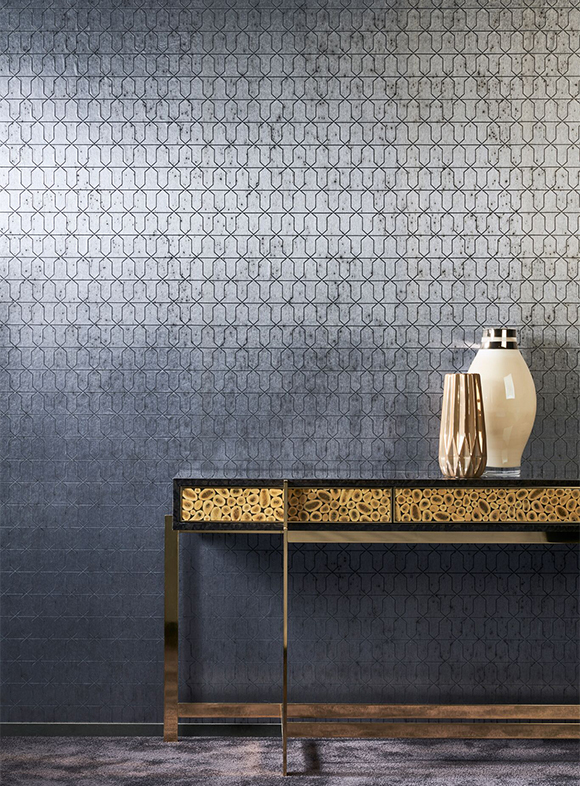 This range features the stunning oxidised metal effect from Metal X but adds geometric patterns and glass beads into the mix. 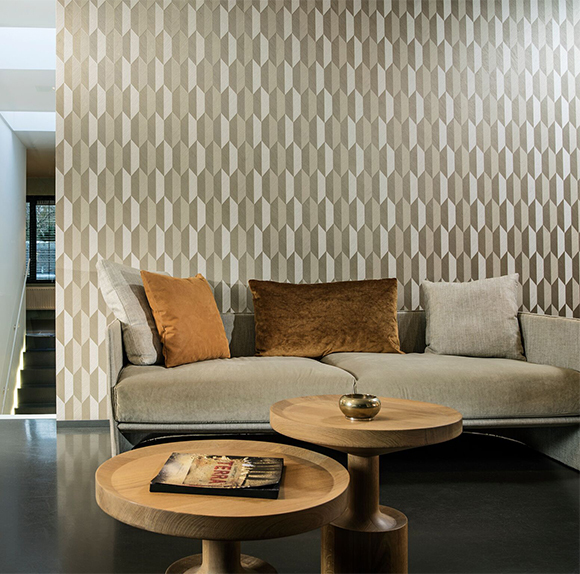 Focus is an innovative collection which uses relief to create dynamic geometric patterns. These designs come to life with different light effects, giving a three dimensional character. 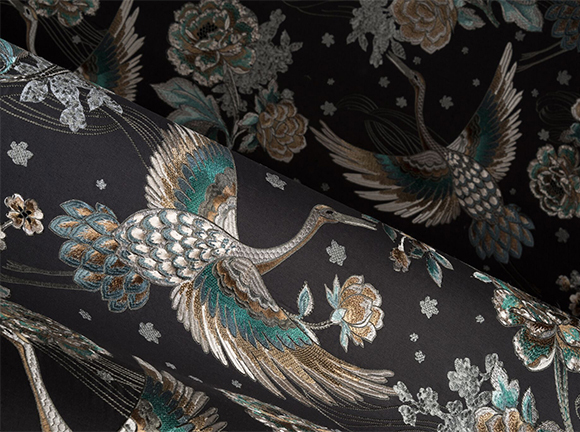 Takara works a strong Chinoiserie and Japonaiserie theme, with birds, pergolas, washi paper textures and woven chevrons. The design Crane needs special mention - it's an incredible embroidered design which uses metallic thread with stunning results. 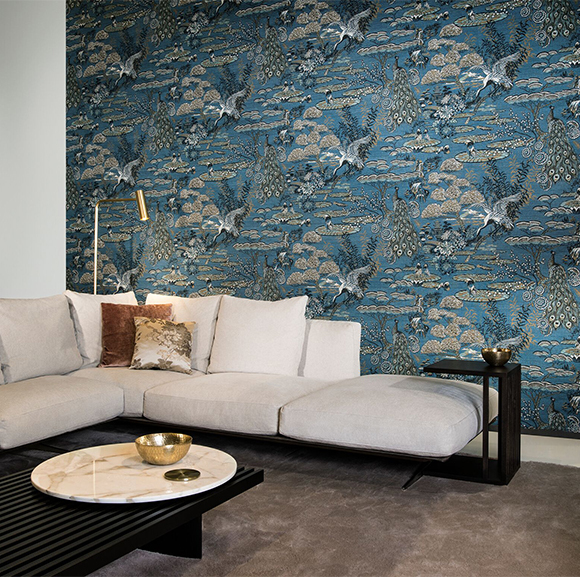 Finally we have Curiosa which also has oriental influences. From lush tropical motifs to scenic imagery and animals this collection is mysterious and exotic. See the collection page HERE. Please get your RSVP's in as soon as possible. We look forward to learning more about these fascinating collections from Stijn.